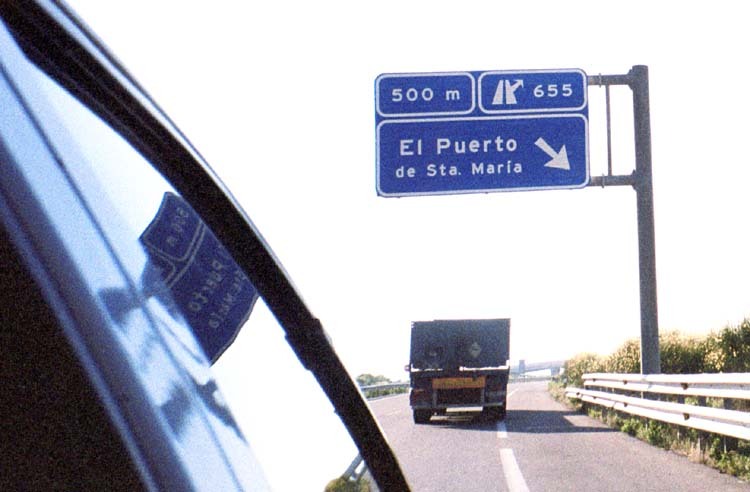 We returned to Puerto along the coast. 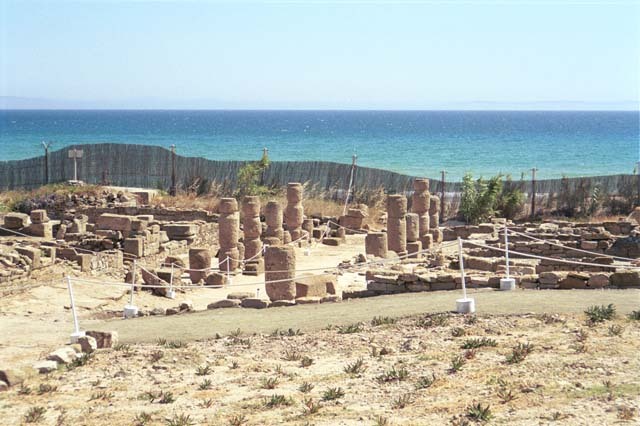 We saw wind surfers and Roman ruins and took a walk along the beach. 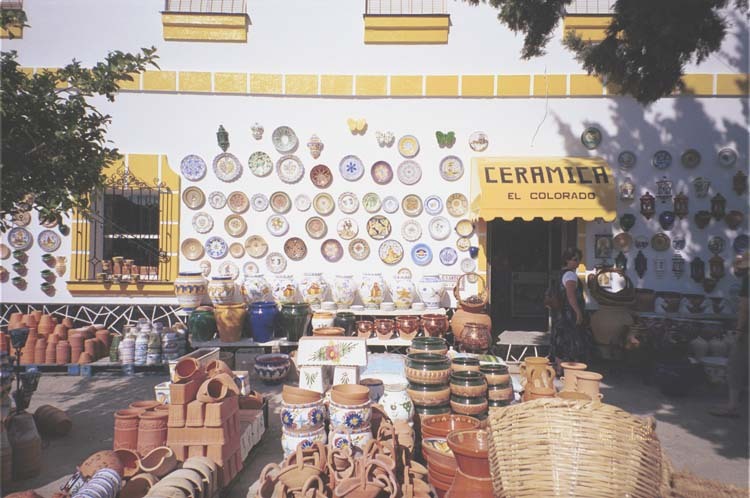 We visited a ceramics shop and bought some beautiful examples of Spanish pottery. We came to the Roman ruins in Bolonia only to find that they were closed on Monday. This is one section, which runs right along the beach. We could see through the fence but could not go in. From here we walked through a seaside restaurant and then along the beach and took in the sights. Kay stopped at this wonderful ceramics shop on the return to Puerto de Santa Maria. They had a wide variety of Spanish pottery. We came home with bowls, dishes, a thermometer, and a sun dial. 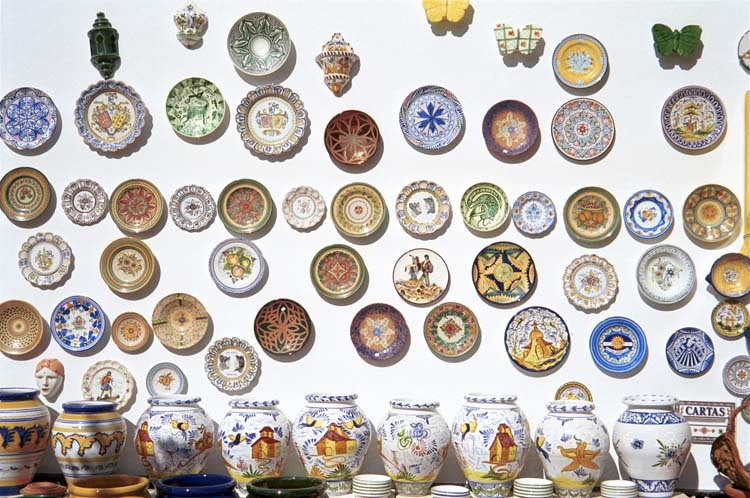 Here is a closeup of the dishes Ceramica El Colorado had displayed on their wall. We're on the home stretch to El Puerto. As an aside, Columbus came here to collect his flagship, the Santa Maria. The ship was named for the place, not the other way around. The dirt is pretty old here. 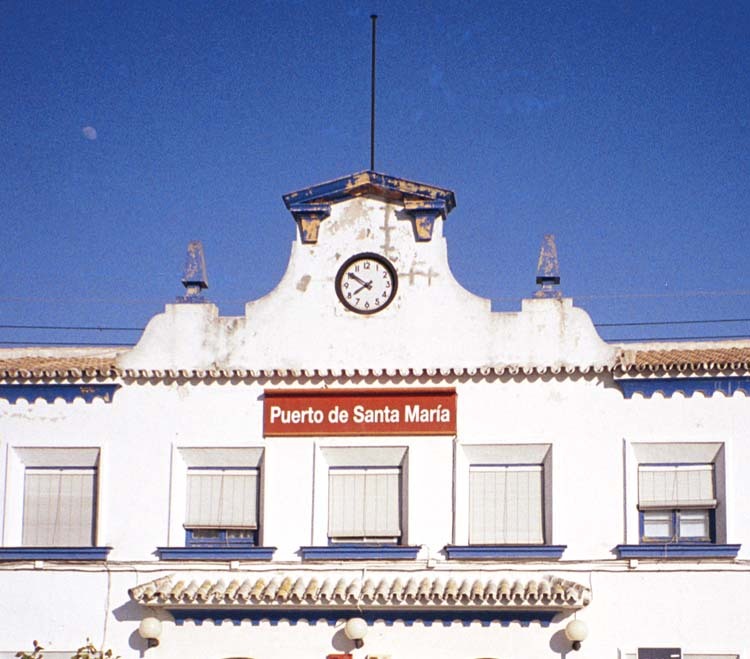 We stopped at the Puerto de Santa Maria train station to buy our tickets for Tuesday's trip to Cordoba. It's ten of eight and plenty bright out. With daylight savings on top of continental Europe time, it didn't get dark until after 10 PM. Notice the moon - we'll see it again Friday night in Portugal.